Fact: sometimes you want an easy one-dish main course that doesn’t take hours to prepare. And sometimes you’re even lazier than that, and want a recipe that doesn’t call for a gazillion pots, pans, and utensils to clean. This pretty, parsley-flecked soup fits the bill, and it’s delicious to boot. Not to mention that it’s low carb high fat, for those of us living the keto lifestyle. Chop parsley and gently mix with schmaltz, salt and pepper. Set aside. 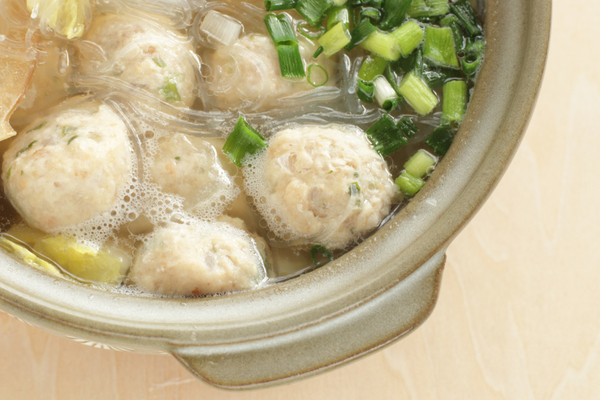 In a separate bowl, prepare chicken meatballs. Mix ground chicken, eggs and seasonings and blend until well combined. Place chicken mixture in the fridge to rest for 10 minutes. Place 2 tablespoons of schmaltz or oil in a large pot and sauté cabbage over medium-high heat, stirring, until cabbage begins to turn golden brown. Add water and bouillon cubes and bring to a boil. Lower the heat to medium and, using wet hands, shape chicken mixture into meatballs of about an inch (2.5 cm) in diameter, dropping meatballs into the simmering mixture, as you go. Let simmer for 8-10 minutes. Season soup with salt and pepper to taste. Serve soup in bowls, each topped with a dollop of the parsley topping. Previous Was Shawarma Just Culturally Appropriated by Israel?